Carolina Kicks / Elite Taekwondo Academy is a World Taekwondo school focused on the training of competitive martial arts. We have multiple programs working from early development of basic techniques all the way through advanced training for preparation in regional, national and international tournaments. Passionate instructors – Each member of our leadership team has years of experience in the art of Taekwondo instruction. Builders of confidence – with the challenges presented to students they realize through hard work and dedication ANYTHING is possible. Teachers of Discipline and Leadership – Our Focus is always on the students learning of martial arts and foundations of life. Leadership qualities of honesty, integrity, persistence and passion are enforced at all times. 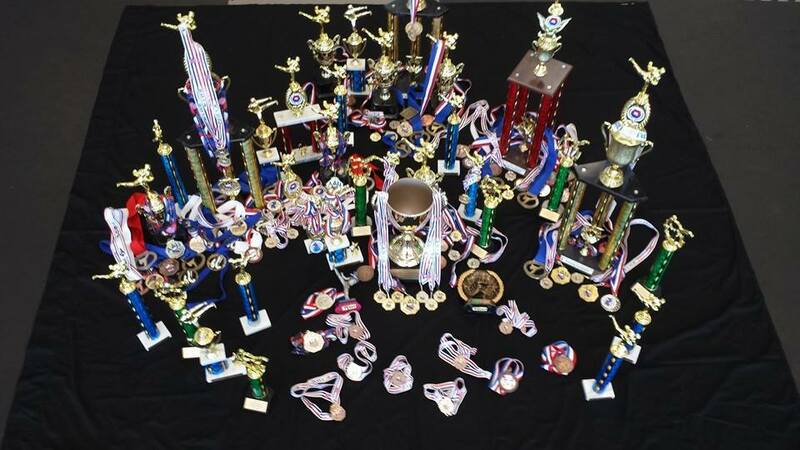 Competitive Training – Carolina Kicks prepares students to test their skills against other students in tournaments throughout the region and beyond. Physical Fitness – Carolina Kicks provides the benefits of aerobic, strength, balance and flexibility during each 45 minute class allowing for weight loss, toning and strengthening of muscles. Fun – Each class taught with energy and excitement that involves the students leading to self-fulfillment in achievements.